Minooka, IL – June 6, 2016 – You hear it over and over in our industry, the problem of keeping our top U.S riders mounted with quality horses. 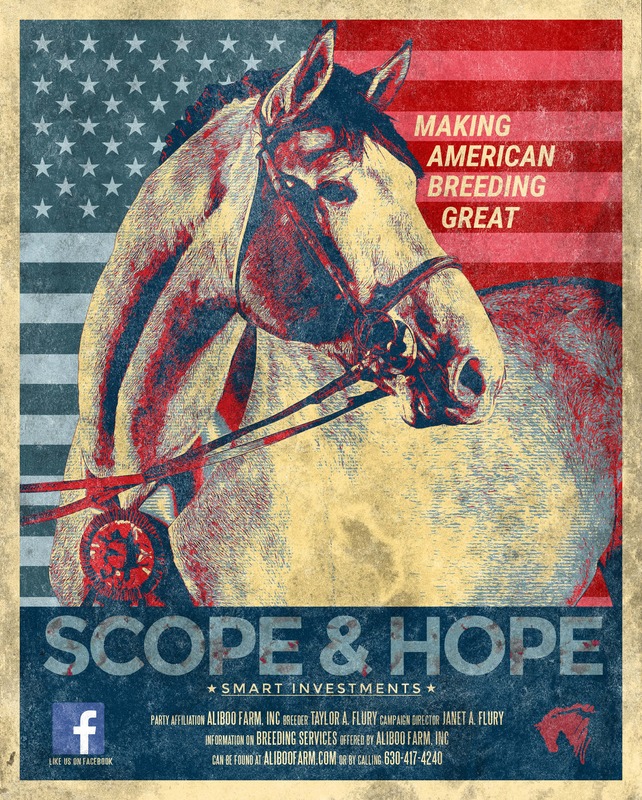 The desire to make the pool of good horses available here in the U.S. rather than every country picking from the small pool of European horses, where the Americans don’t get first pick and pay huge prices for what’s left. The second issue is these top riders often don’t have the time or staff to bring along the younger horses to a point where they can be truly competitive in the 1.40m divisions and higher. Working feverishly to make a change in these scenarios is AliBoo Farm in Minooka, Illinois, offering ways for riders to invest in their future to reap the rewards. How can riders and owners invest or partner with AliBoo Farm? Any smart investor will first check out the potential investment to see if it is worth getting involved in. The investor would check out any track record, current activity in the market and potential for growth and success in the future. AliBoo Farm has strategically planned their breeding, development, showing and sales of their stock to lay the groundwork for investors. Track record? AliBoo Farm is a consistent winner in the young jumper arenas, setting a strong foundation and track record for their potential investors. In 2015 at the FEI World Breeding Championships for Young Horses, the five-year-old stallion, Carrasca Z, was approved by the Zangersheide studbook in Lanaken, Belgium. It is the first time in history that Zangersheide has approved a stallion bred, raised, and developed in the United States. The stallion was also awarded the Style Award at the 2015 Silver Oak Jumper Tournament and jumped two clear rounds at the World Championships with a heartbreaking time fault, keeping him out of the finals. He was one of 35 horses out of the 220 that competed that was able to jump these two rounds without a rail. It is not enough to dwell on the past though, as AliBoo Farm keeps looking to the future in developing the next generation of champions. Calano Z is a BWP Approved Stallion (Calato Z x Calvaro Z) and ready for a partnership Photo Anne Gittens. 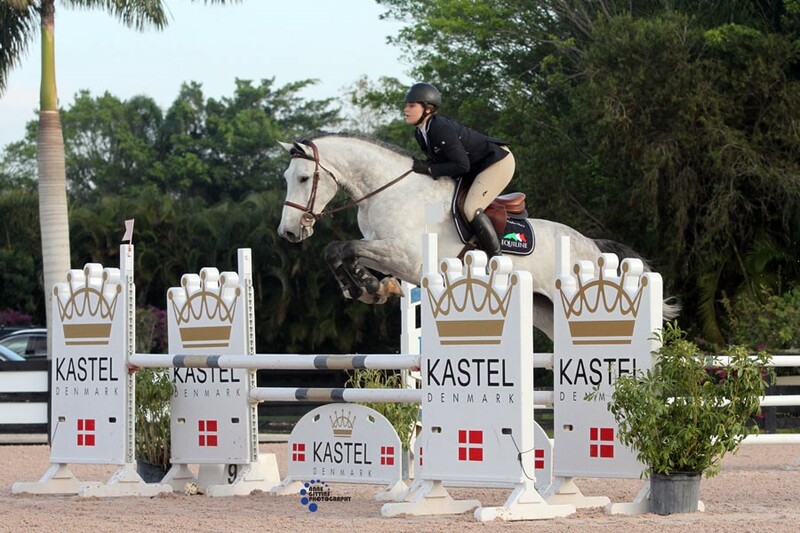 Calano Z and My Pride Z came out of the gate strong this year with several clear rounds at WEF 2016, helping them secure the first and second place rankings nationally in the five-year-old jumpers. Calano Z is a BWP Approved Stallion (Calato Z x Calvaro Z) that looks to have a strong future ahead of him. His dam line is one of the strongest not only in Belgium, but also the Netherlands, known for producing top-level horses. This young stallion would be a great investment to bring along to the top level. 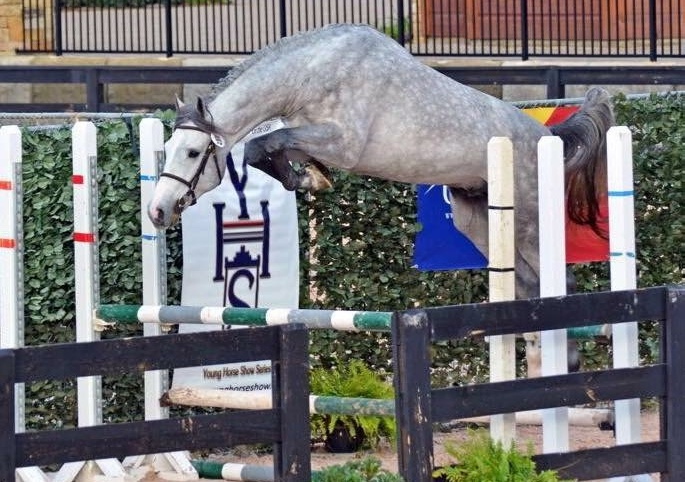 Our 2012 generation of four-year-olds also started off their show careers with a bang at the Showplace Spring Warm Up, with all three of them turning in clear rounds in the 1.05m jumpers. Hero (Brainpower x Lord Z) is a four-year-old stallion that is owned by investor Hampton Farms and continues to be developed at AliBoo Farm. Mandus (Coupe de Couer x Darco) is another BWP Approved four-year-old stallion that is available for investment and with bloodlines like his, he is destined for the top. Not only does AliBoo Farm have these young horses already under saddle, but they have even younger generations that would make great investments for the future. 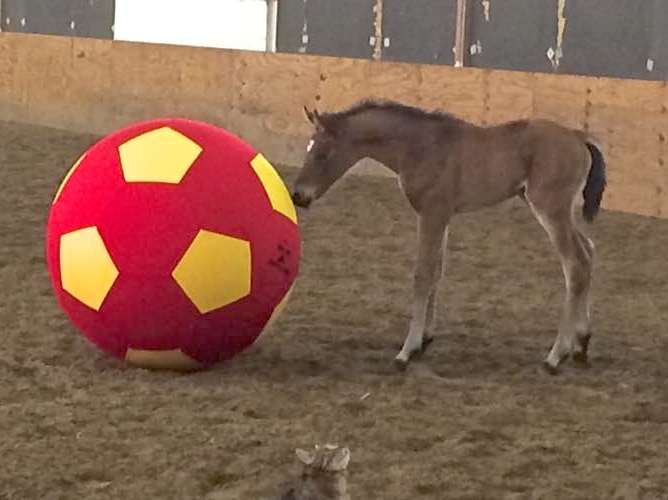 Lori Lyons, Southwest Ranches, Florida, is one such individual that recognizes the benefits and excitement of choosing a foal and then watching it grow up and develop into all it can be. She recently purchased a 2016 in-utero foal (Carrasca Z x Lupicor) that was born this spring. Cadeau de Vie ABF is just one of the foals available for a partnership or purchase. 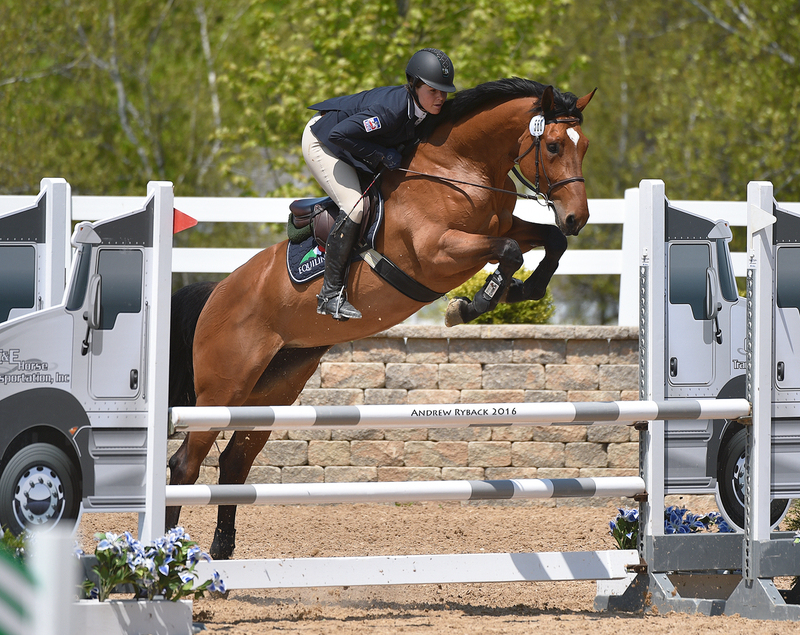 AliBoo Farm horses continue to jump consistent clean rounds against some of the top competitors and young horses in the country over courses designed by top course designers. Their young horses are currently leading the standings for both the five and six-year-olds nationally. Now you’ve done your homework on the investment so how can you invest in your future? There are four ways to make a smart investment with AliBoo Farm. First, AliBoo Farm is offering partnerships on their stock five-years-old or younger. If you don’t have the time or staff to develop a young horse, you can choose your horse and partner with AliBoo as they bring it along in their successful system to a point where the horse is ready for you to take home or ready to be sold. Partnerships allow an investor financial flexibility, meaning you don’t have to pay a full purchase price, you can buy a percentage of the horse and reap your percentage of the rewards. This gives the investor a chance to watch their investment grow as the horse moves up the ladder in competition and development, yet doesn’t require a large financial output, staff, time and consistent training from your resources. Cadeau de Vie ABF (Vuvuzela Z x Chippendale Z) 2016 Mare/Filly. The third way to invest with AliBoo Farm is to bring them your young horses to develop. They’ve already had fantastic results with not only their own horses, but with others as well, proving their system and development program is successful. AliBoo’s consistent clear rounds on multiple horses at shows across the country, is a testament to their ability to bring along young horses and grow investments. With their emphasis on rideability and flatwork, they have successfully brought horses from their very first show to jumping in the grand prixs.Some of the horses they have brought along include Role Model, who won a Lake St. Louis Grand Prix this winter after being the Five and Six-Year-Old National Young Jumper Horse of the Year, Clever Girl, who after being sold, earned several high placings with Molly Struve, Wilmette, Illinois and Tapestry Farm in the Amateur Owner Jumpers in Ocala this past winter. Corcovado BG, was started at AliBoo Farm before returning to his owner Blue Gate Farm and earning several top placings in the 5-Year-Old Jumpers at WEF.Sovereign, was an eight-year-old stallion that was never shown. It came to AliBoo Farm and they quickly brought him up to the 1.45m level before selling him to a sponsor of Lisa Goldman, Hawthorn Woods, Illinois; he then continued to earn several good ribbons in the 1.45m during Ocala and WEF 2016 placing second in the $10,000 1.45m Grand Prix. The fourth and final way to invest your future is to purchase one of their horses. Choose from foals in-utero up to stock that is showing successfully as five and six-year olds. Some already have the work done for you while others need more time and development. Choose to put the work in yourself, or let AliBoo Farm assist you with a project.“We like to help people make smart investments when it relates to their horses,” said AliBoo Farm owner, Janet Flury. “We are happy to educate owners interested in breeding so they get the best buy for their money and get a quality horse. Our complete program of breeding, developing and training is working and we’d like it to work for others as well.”To find out more about making a smart investment with AliBoo Farm, contact them at info@aliboofarm.com or 815-475-4524.